If you are one of the tens of thousands of schools concerned about meeting the newly adopted website accessibility deadline of January 18, 2018, we can help. In Website Accessibility Part I, we covered the Do It Yourself options for gaining ADA website compliance. 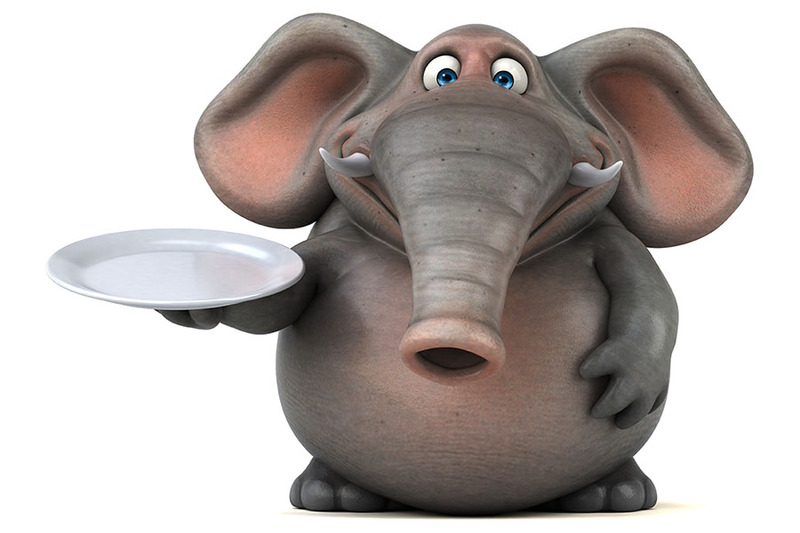 We should have titled it, “How do you eat an elephant (or any big project like website accessibility)?” The article is the answer, which is, “you eat it one bite at a time.” If you missed that article, check out Website Accessibility, Part I. However, if you are NOT in the mood for elephant, no matter whether sauteed, fricasseed, or barbecued, there is another choice. That choice is the one where you get someone else to do the messy parts of the project. So, how does this look? If you’ve read all the requirements in Part I but don’t have the time or staff to manage a project of this magnitude yourself (even one bite at a time), there is another option. You can get someone to help you with the parts you don’t want to or can’t do. Let’s look at leveraging experts who already know the turf to get you to your goal of an accessible school website. There are three stages involved, and you can get help with any one of these areas or all of them, depending on your staff, timelines, and skillsets. Bonus: If you use School Webmasters to do your audit, we also provide a follow-up review after you have made the necessary corrections to confirm that the changes are complete and you’ve met the accessibility requirements. You can request information or a quote for a website accessibility audit. Using an audit report, use your website staff to make the necessary corrections. For non-compliant areas that pertain to your CMS software, you’ll need to get help from your website provider or developer. Once you have “fixed” the major website accessibility issues, you are likely to find that you have some other problems that may take a bit more time to correct. Part of ADA website compliance is being sure that any document you post on your website can be read with a screen reader. Typically, documents not specifically created with accessibility standards in mind will not be compliant. In addition to all document attachments being accessible, you must also incorporate captions into your videos. sign-up for our online website accessibility training for commonly used accessible document formats in written and video versions for $249 per year (available for any employees in your school or district). You can then track who has completed the various trainings as part of professional development, staff reviews, or OCR corrective action plans. The next step is to correct any documents currently posted on your sites that are not accessible. This is referred to as remediation, or to remedy the documents and make them accessible. Correction involves making every document, in whatever format posted, accessible to assistive technology (screen readers). The most commonly posted documents on websites are in PDF format (because everyone can view without special software requirements). Unfortunately, if the original document isn’t accessible, and the conversion to a PDF format isn’t done properly, screen readers or assistive technology won’t provide proper access. You are required to correct all inaccessible documents. This can often be quick for a simple document, or it can require completely recreating a complex document from scratch, depending on the situation. Hire someone to remediate all existing documents on your website(s). This is also a service we offer. If remediation is something you don’t have the staff resources or skills to correct, request a remediation quote. So, whether you need help from others or intend to keep these tasks in-house, a project of this complexity can feel overwhelming. Just don’t become discouraged. If you break each area down into bite-size tasks, your school can easily have your website compliant by the new deadline. Then, because you have the proper training for your staff in place, your websites will remain compliant year after year. You’ll be fulfilling the legal requirements for accessibility, making sure the information you provide is available to everyone, and you can feel great about serving all of your community members. Yep, that’s how you eat an elephant (or get compliant)!